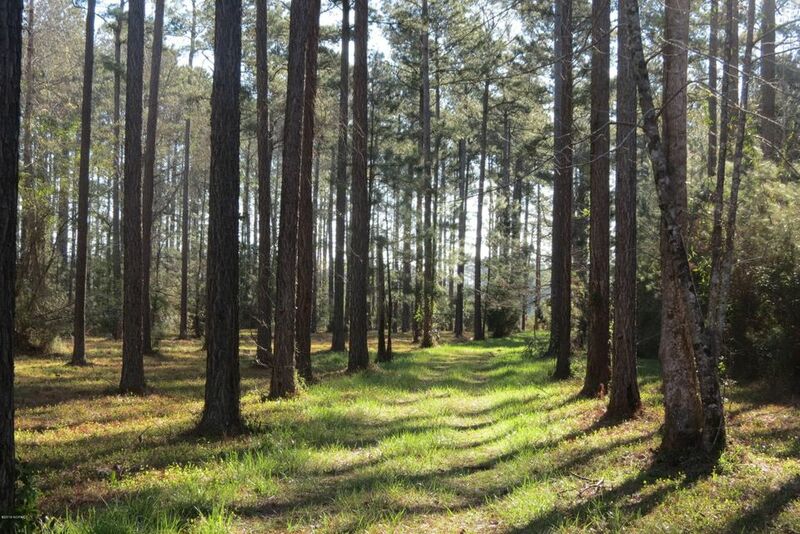 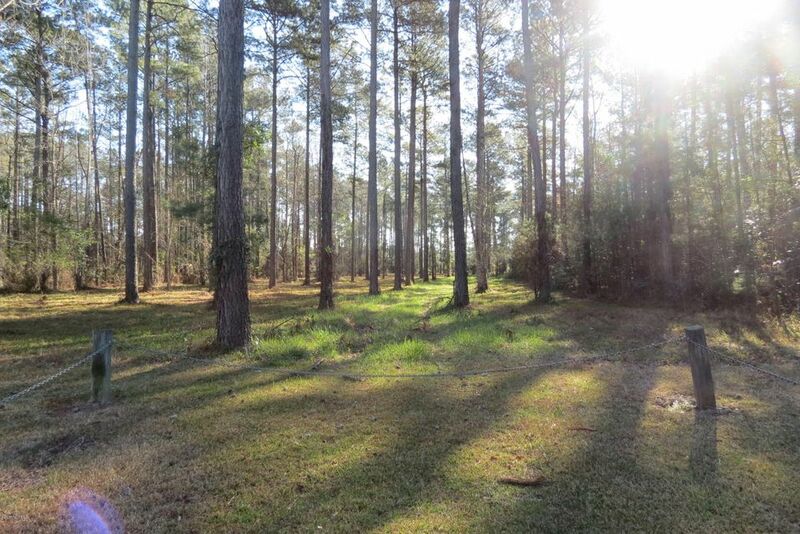 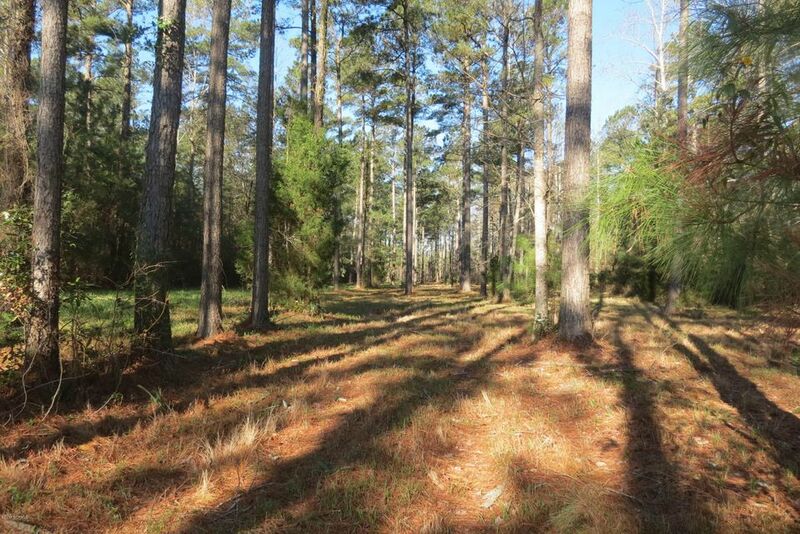 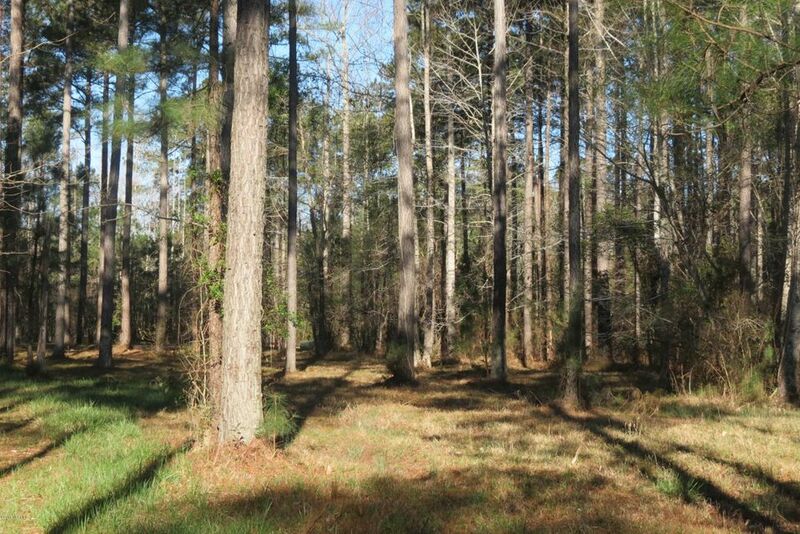 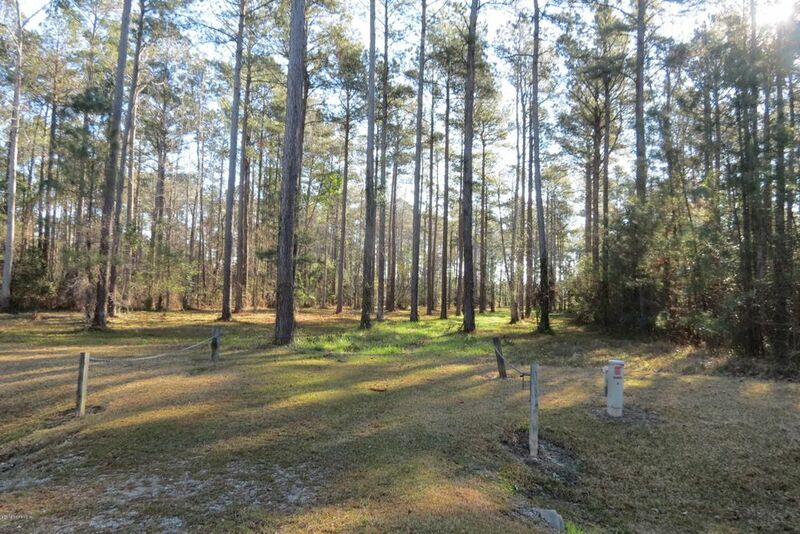 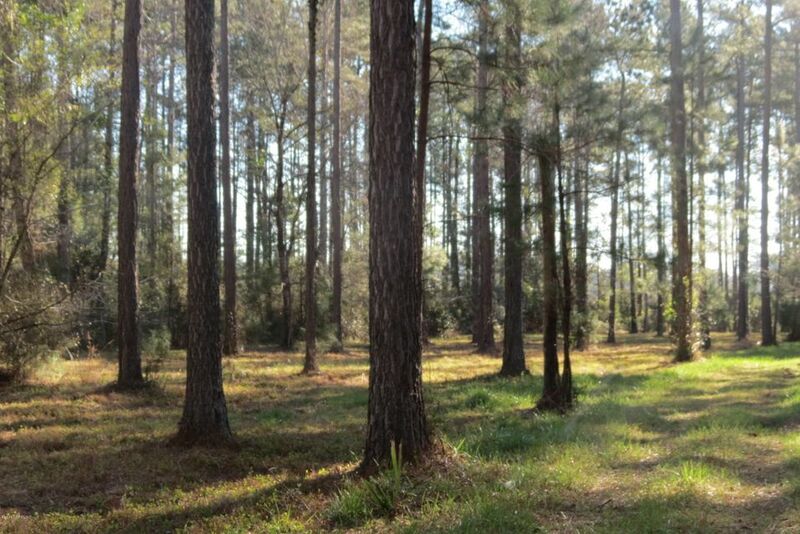 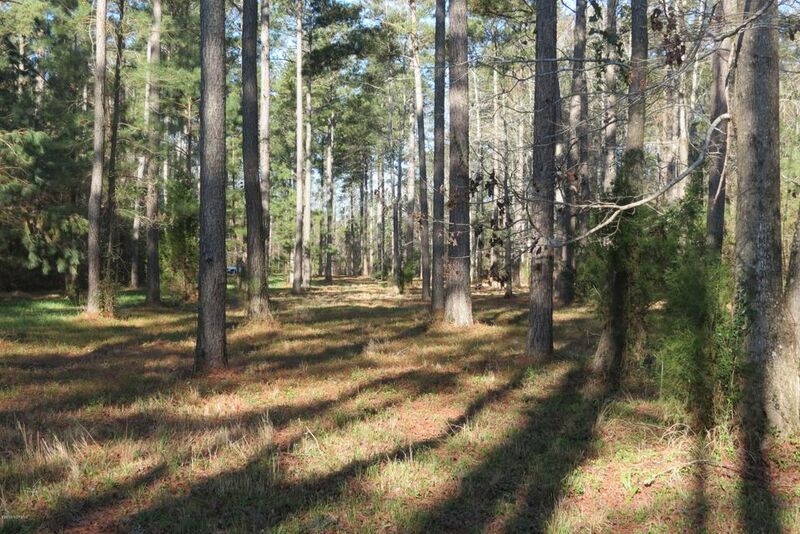 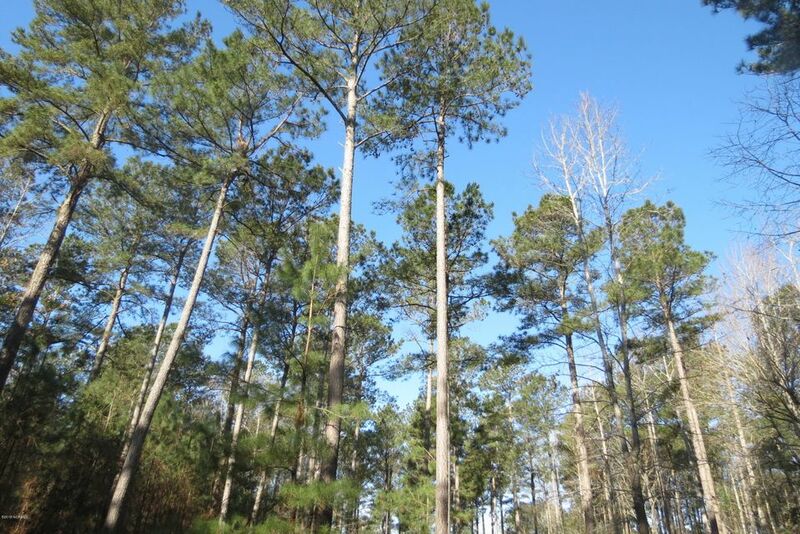 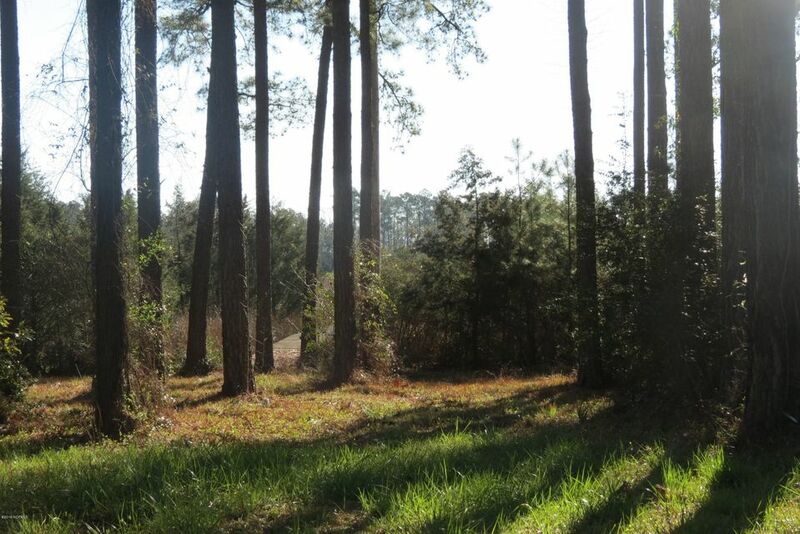 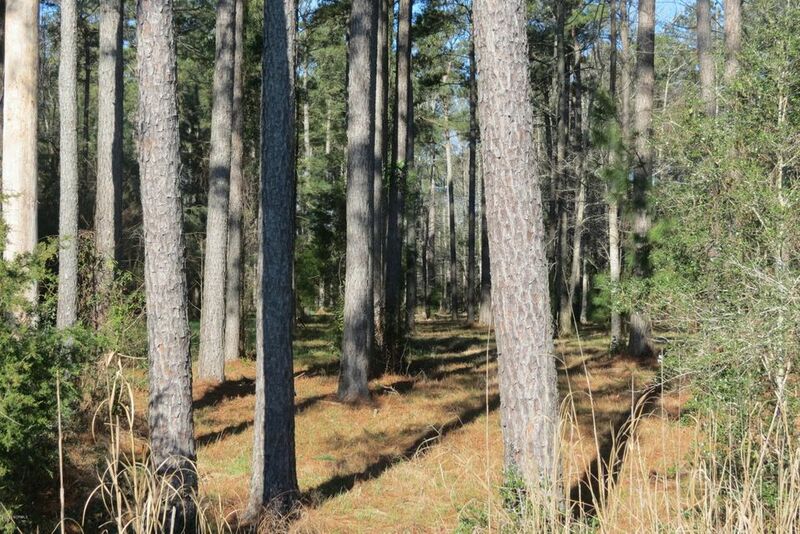 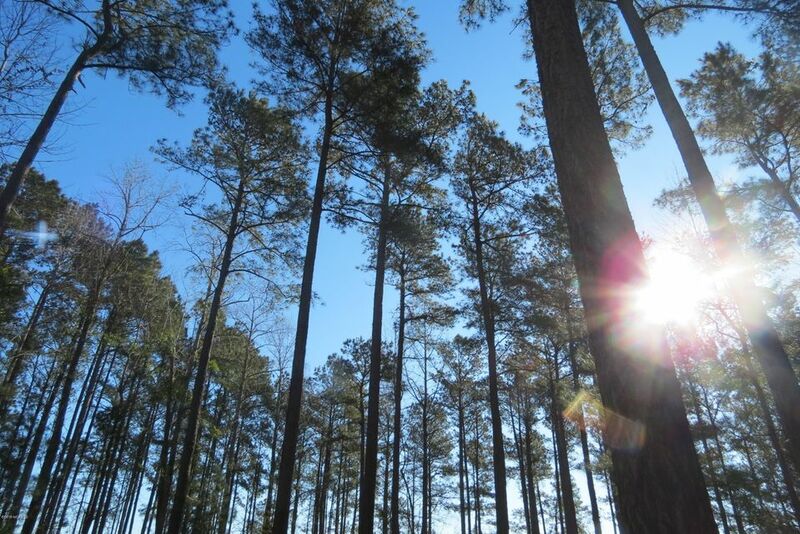 A majestic overstory of mature pines yielding an acreage setting, both private and genteel. 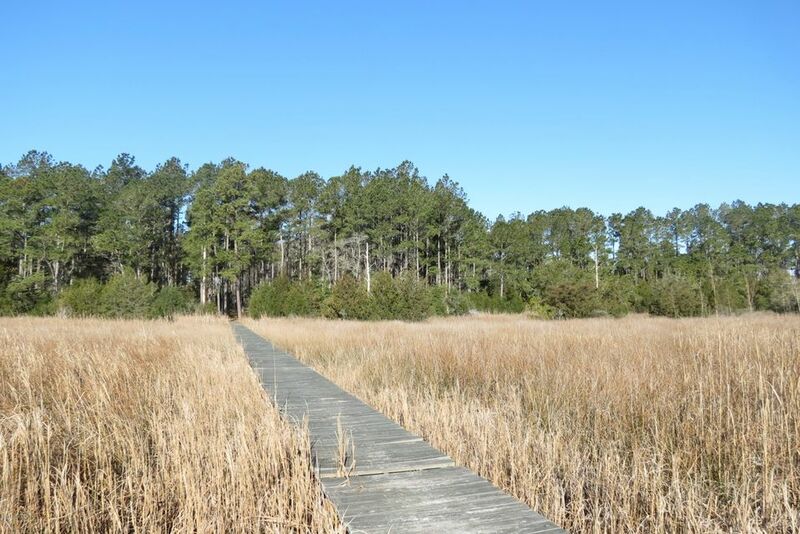 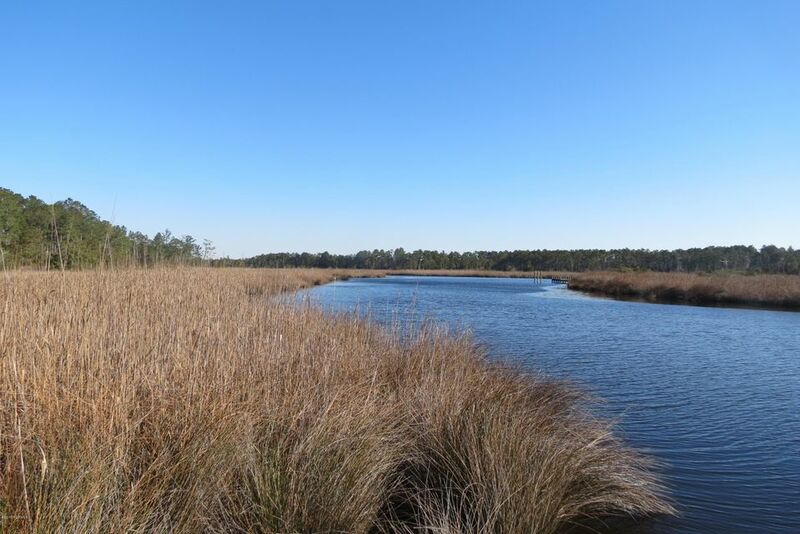 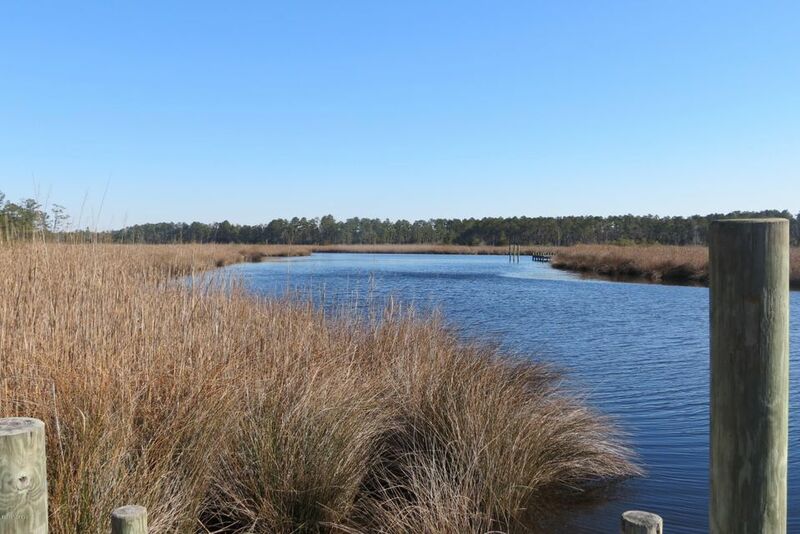 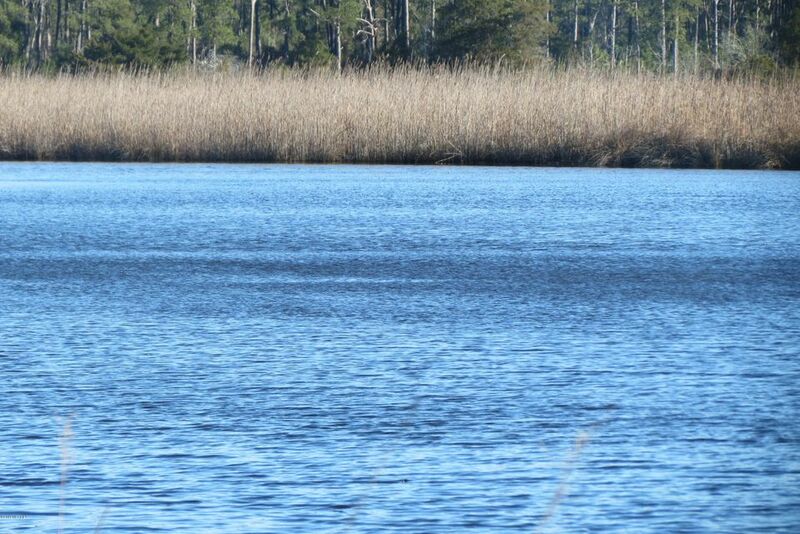 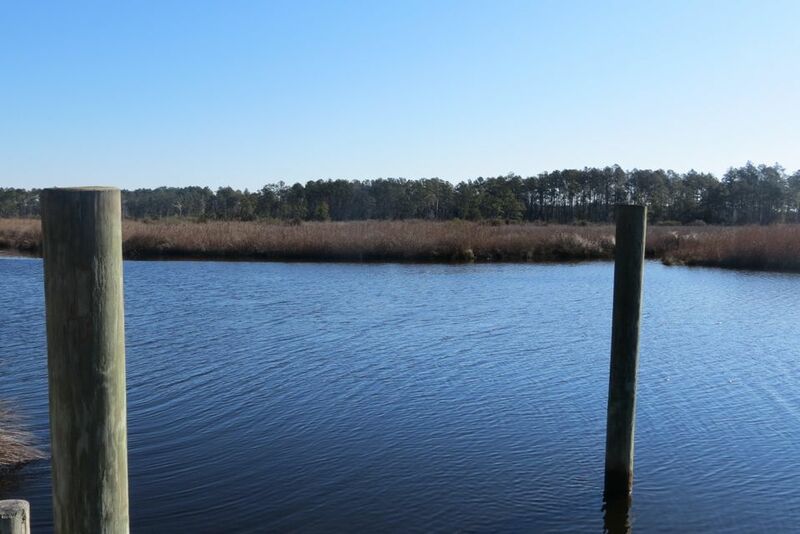 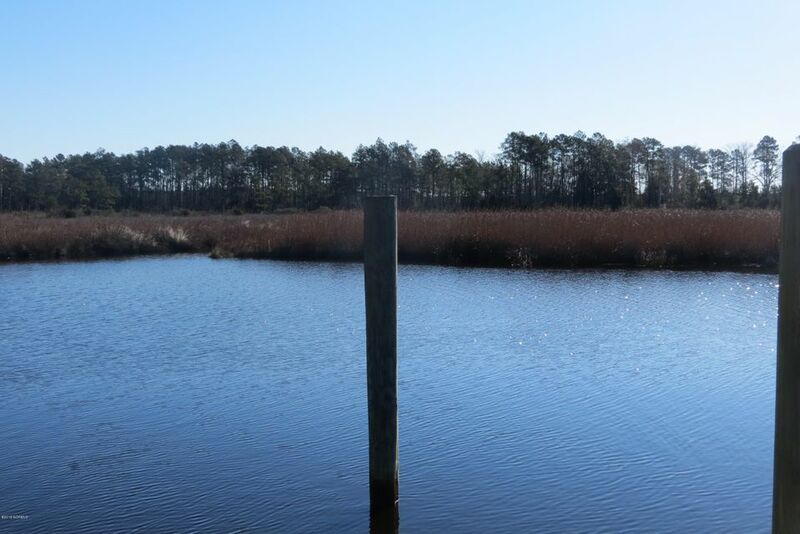 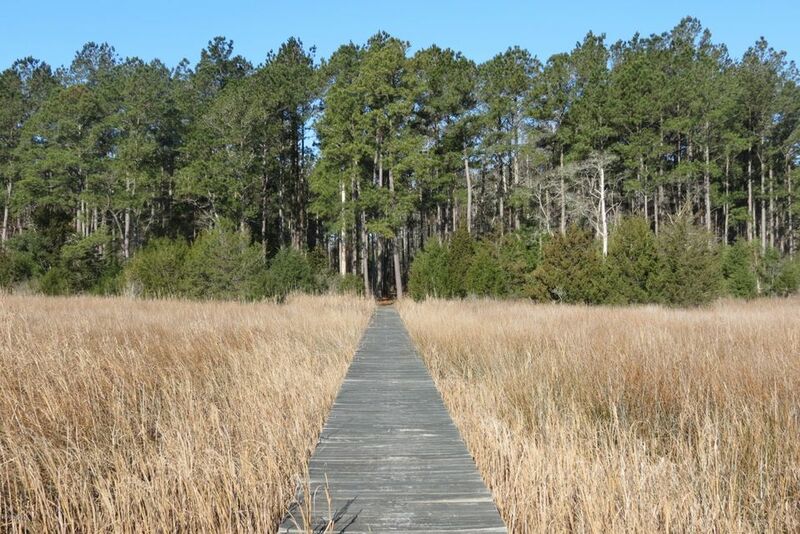 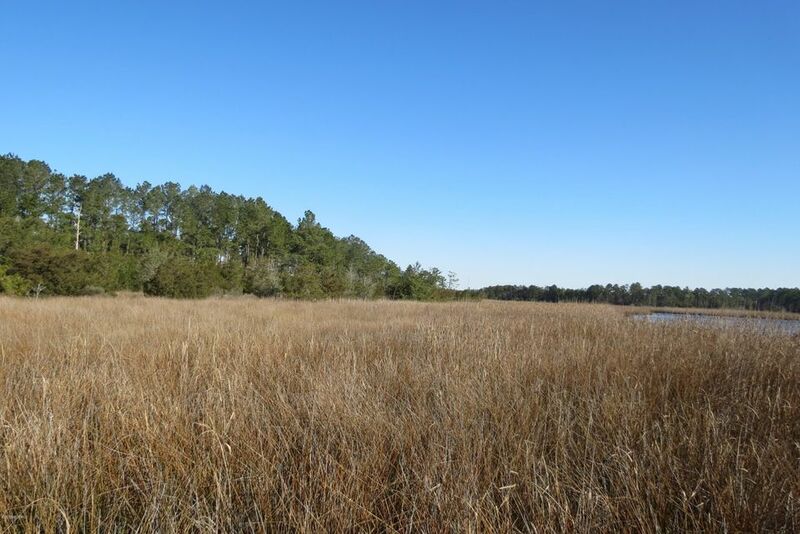 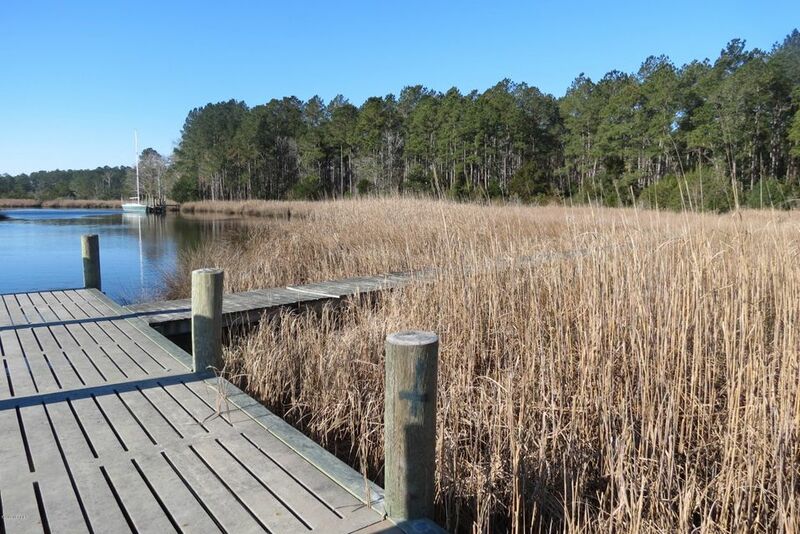 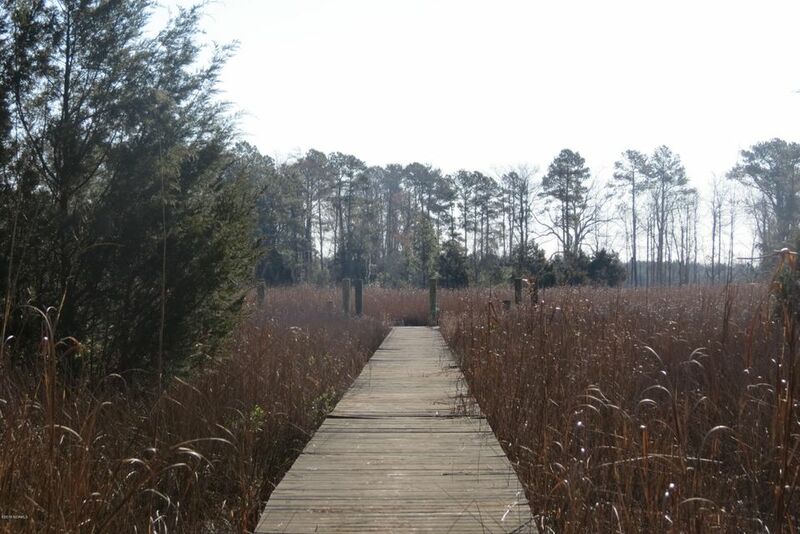 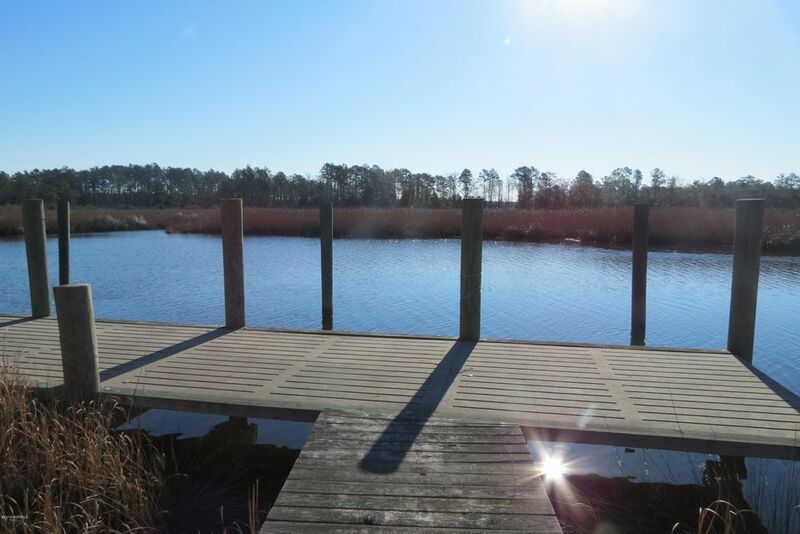 Position your dream home to preside over the gorgeous and ever changing wetlands. 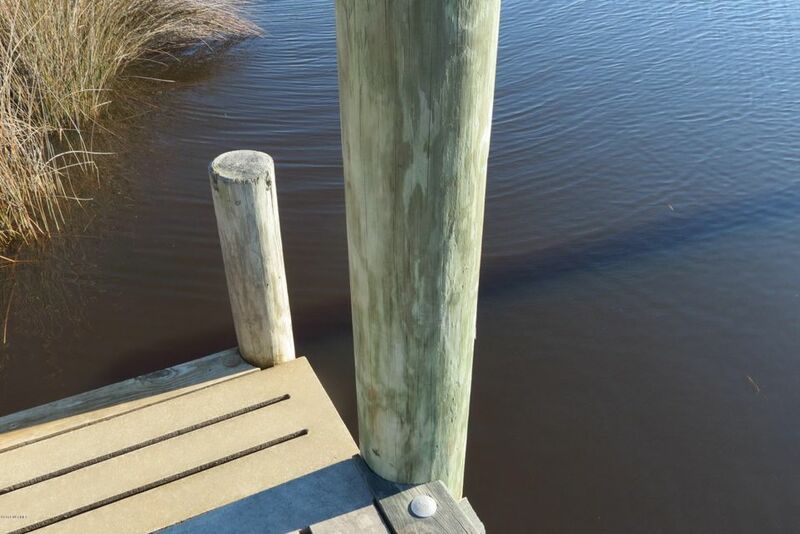 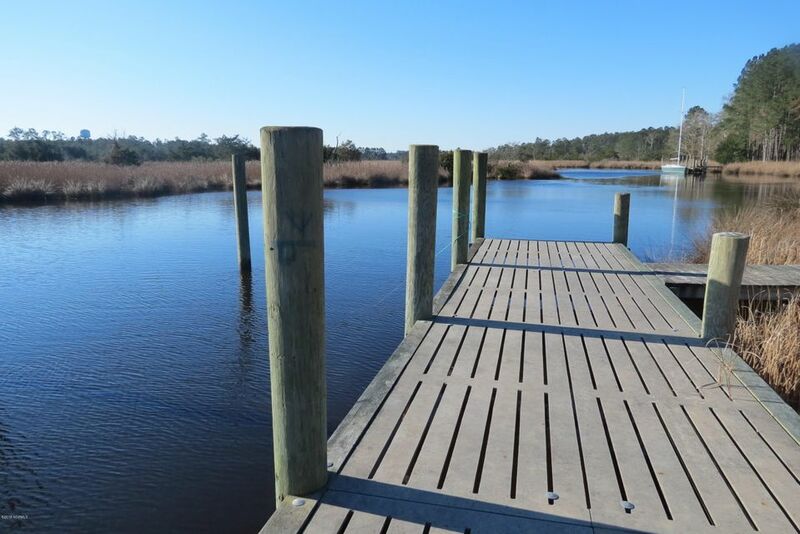 The property has been improved with a long walkway pier that leads to a 40' concrete slip complete with a dinghy/kayak landing. 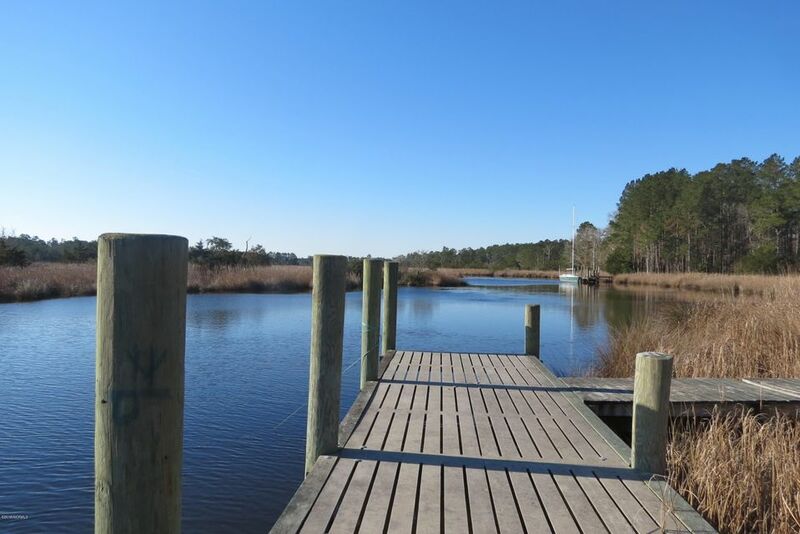 This Weyerhaeuser-developed neighborhood offers some of the deepest water (6'+) in the area. 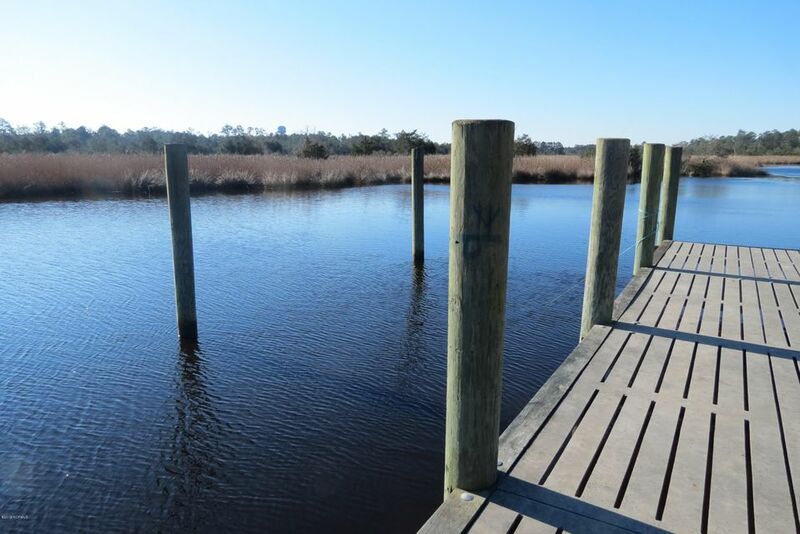 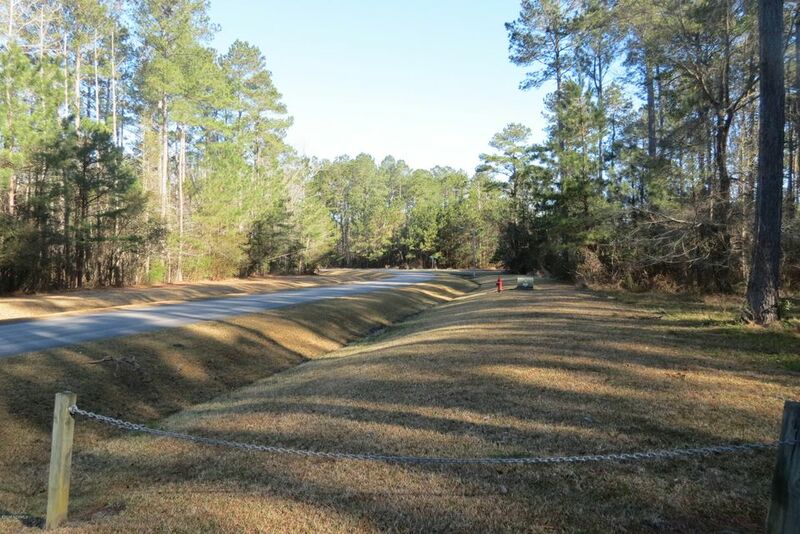 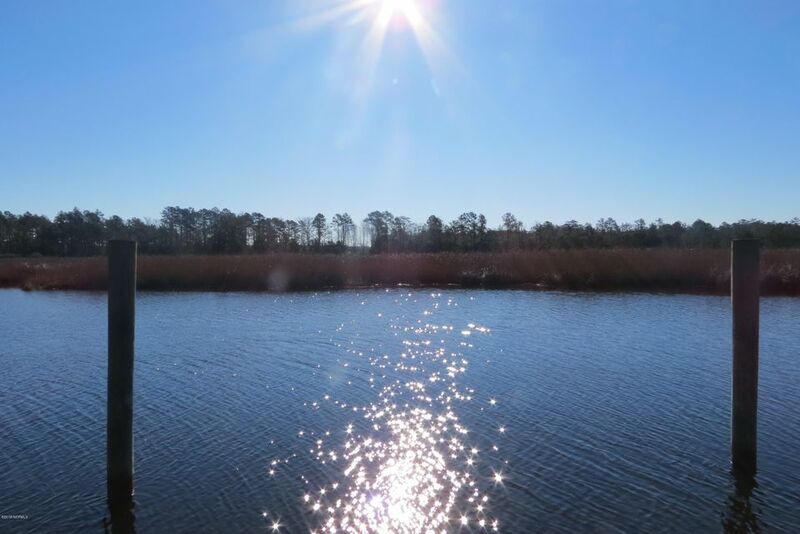 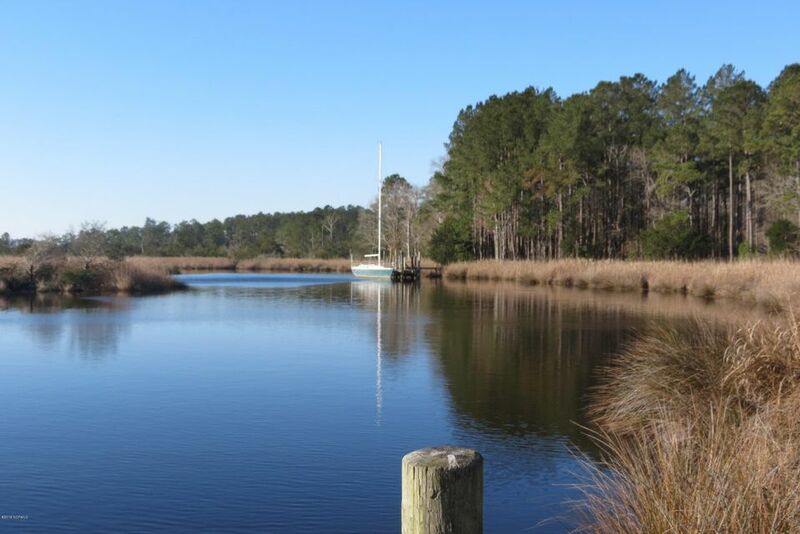 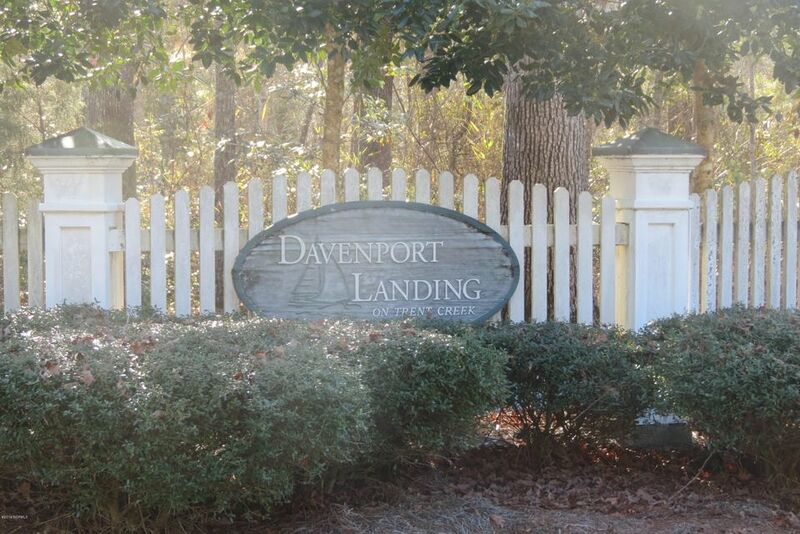 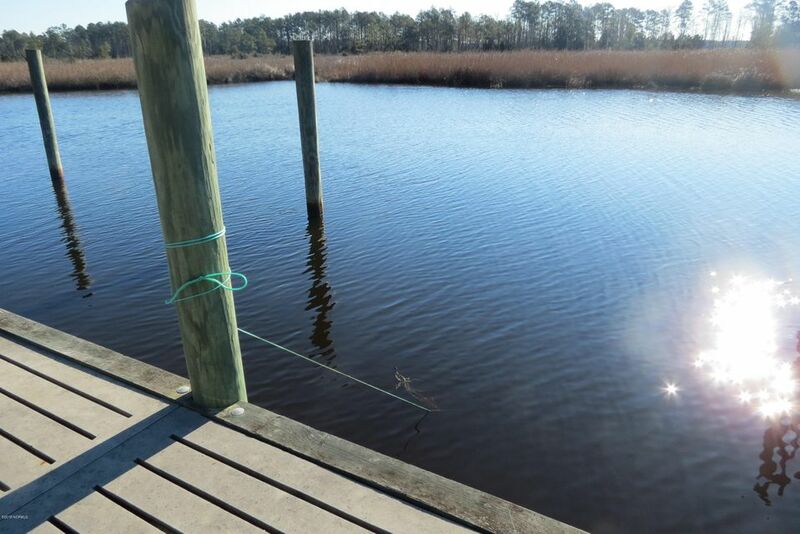 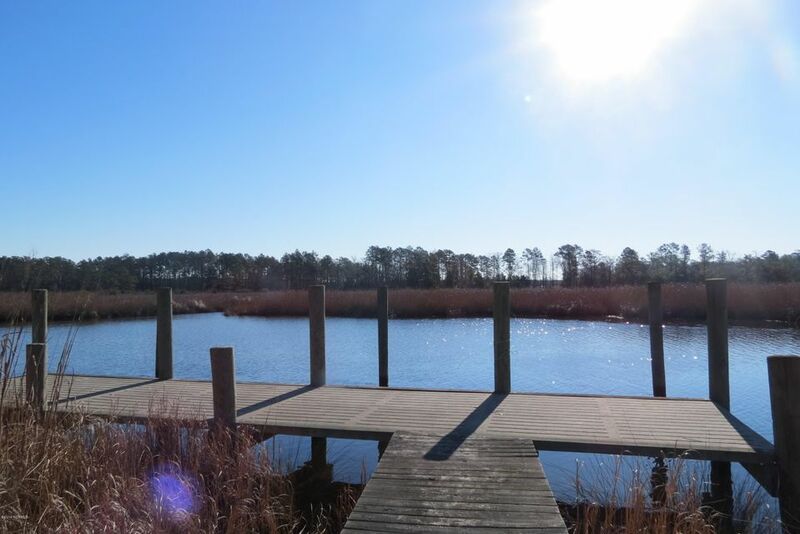 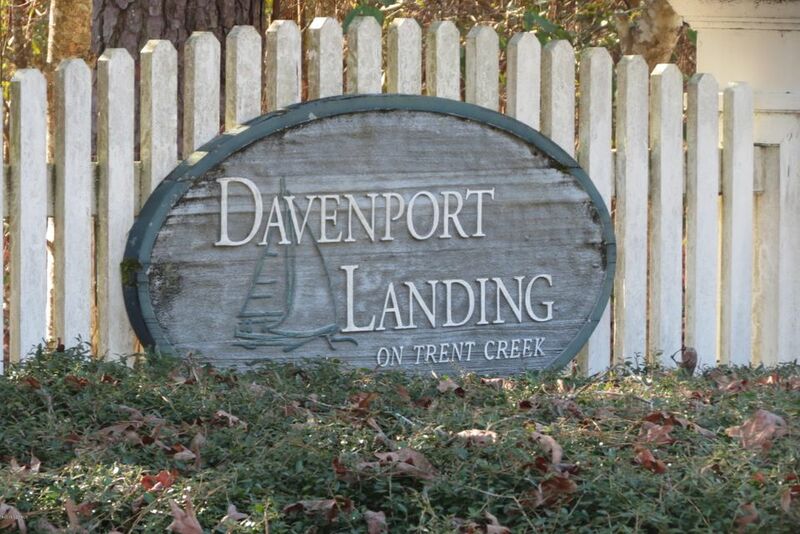 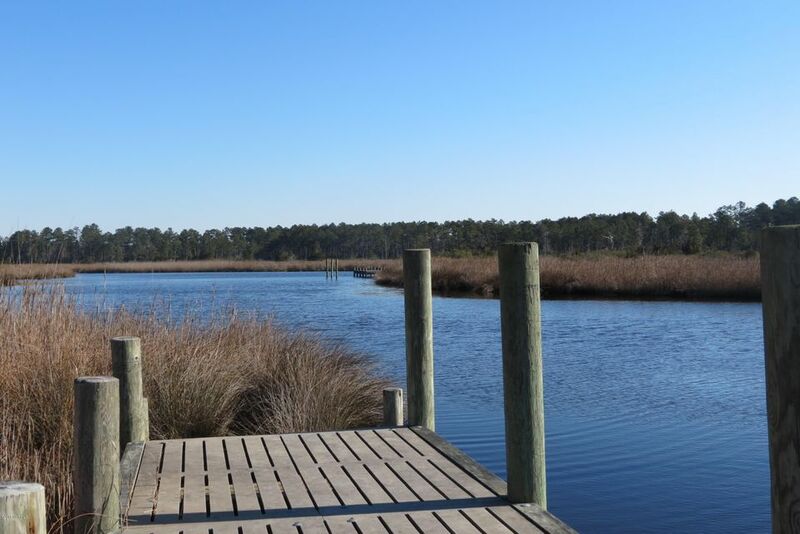 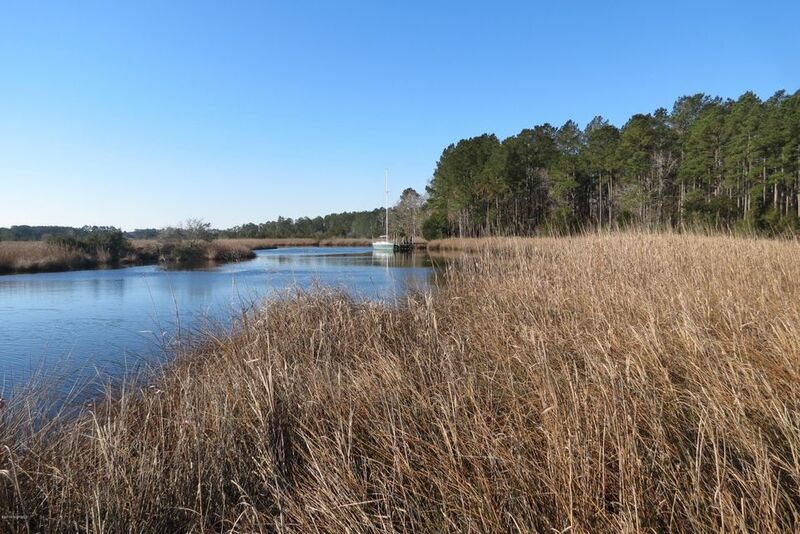 In the most perfect natural setting, this gem is the ideal protected location for your future waterfront home and sailboat.Driveway apron installed, drive has been roughed-in! 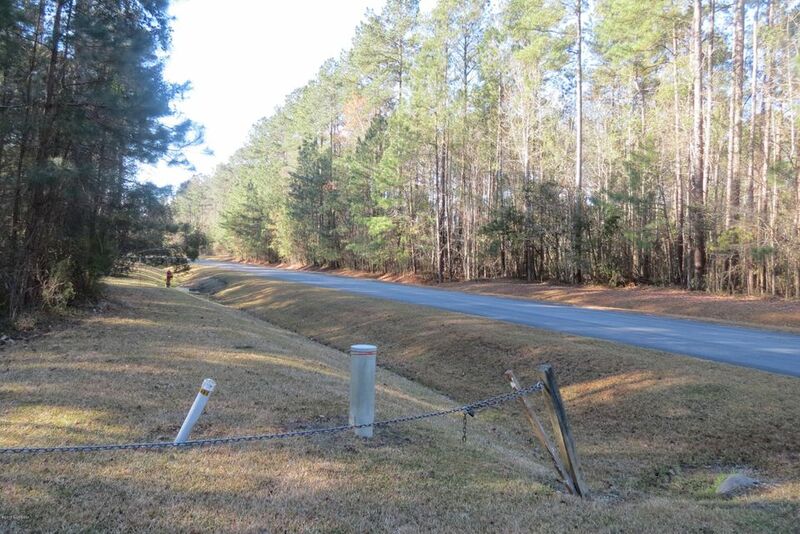 Underground utilities!